A novel that transforms the tragedy of the Vietnam War into a story of courage, camaraderie, and sacrifice. Chapter after chapter, battle after battle, Marlantes pushes you through what may be one of the most profound and devastating novels ever to come out of Vietnam — or any war. 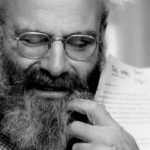 It’s not a book so much as a deployment, and you will not return unaltered … Even the book’s infrequent flaws sometimes serve a valuable purpose in its narrative. There is a blizzard of names, ranks and military terms, for instance, and despite the glossary and unit schematic included in the book, I still felt lost much of the time. That confusion, however, was exactly my experience while covering the United States military as a journalist, and in Matterhorn it struck me as annoying but true … Matterhorn is a raw, brilliant account of war that may well serve as a final exorcism for one of the most painful passages in American history. It reads like adventure and yet it makes even the toughest war stories seem a little pale by comparison … Ironically, the best parts of Matterhorn aren't the battle scenes, which are at times rendered with a literal precision that borders on mechanical. Rather it is Marlantes's treatment of pre-combat tension and rear-echelon politics. It's these in-between spaces that create the real terror of Matterhorn: military and racial politics; fragging that threatens the unit with implosion; and night watch in the jungle, where tigers are as dangerous as the NVA … Given the long list of stellar works, fiction and nonfiction, to come from the Vietnam experience, one might question what more can be said about it. In some ways Matterhorn isn't new at all, but it reminds us of the horror of all war by laying waste to romantic notions. While no one who didn't serve in Vietnam can really grasp what life in that time, that place, was like, Marlantes comes closer than any American writer ever has to capturing the unrelenting terror and enormity of one of the saddest chapters in recent world history … There's never been a Vietnam War novel as stark, powerful and brutal as Matterhorn — Marlantes manages to exceed the efforts of his closest literary antecedents...He manages to write with a dark and chilling beauty, even as he chronicles some of the most unspeakable events his readers are likely to encounter. It's the rare kind of masterpiece that enriches not just American literature but American history as well. 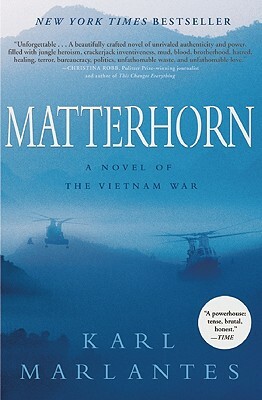 What did you think of Matterhorn: A Novel of the Vietnam War?